The South African Reserve Bank issued South African Rand banknotes in 6 different denominations, including this 10 South African Rand banknote (Nelson Mandela). They are part of the current South African Rand banknotes series. The South African Reserve Bank started issuing these 10 South African Rand banknotes in 2012. They are currently still in circulation. This green 10 rand note, in common with all fifth series notes from South Africa, features Nelson Mandela on the obverse (front). 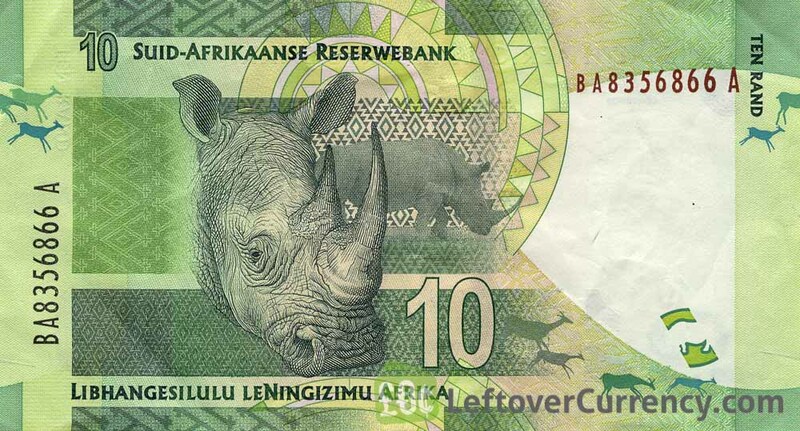 The reverse shows a rhinoceros, and has text in both the Afrikaans and Swati languages as well as English. Repeat these steps for any other notes and coins you want to exchange. Complete checkout and get paid within 5 days of receiving your currencies. 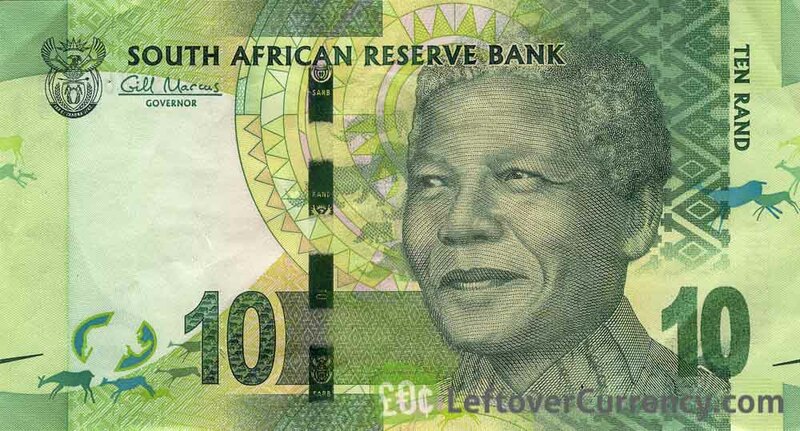 To exchange your 10 South African Rand banknote (Nelson Mandela) for cash: add it to your wallet now!